Boy, have I been searching all across the galaxy for you! Hi everyone. My name is Han Solo or Hans for short. 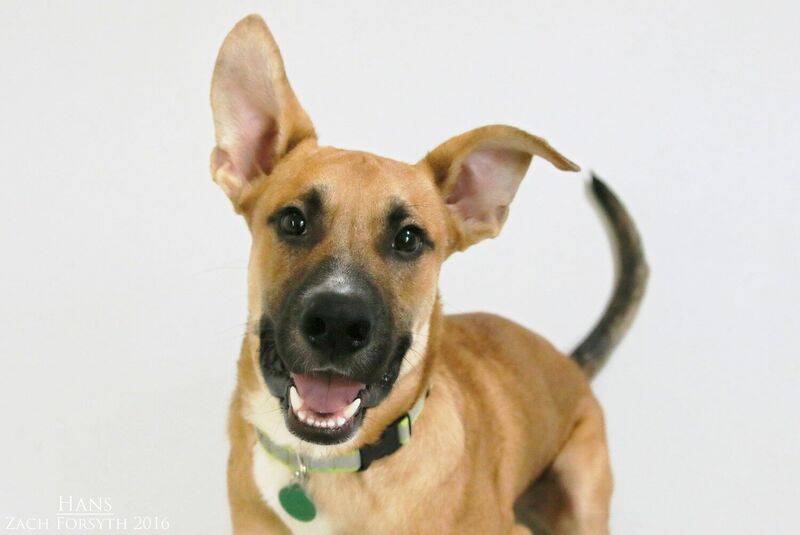 I am an adorable 8 month old, 42lb Black Mouth Cur mix. I may not know how to use the force, but I’m handsome, courageous, and know how to fly a ship! Ok, well… I don’t actually fly, but I am super smart and with some yummy treats, I am sure I could learn real fast! I’m such a quick learner that I am already potty trained, crate trained, and know some basic commands such as “sit”. I have to learn some more if I want to be a space pilot, so I would definitely need a sidekick that could teach me the ropes, as PUPPY CLASSES ARE MANDATORY FOR MY ADOPTION! All are welcome to join my intergalactic crew, including other pups, cats, and my human pals over the age 13! After joining the rebel forces, I became a hero and went from smuggler to snuggler, as I just love cuddling up with you after a long day of exploring. In fact, after a recent epic battle, I lost my back leg during a light saber duel. I’m still on the mend and looking for someone to help me through my recovery! Can you be my co-pilot and save the day? Fill out an application today, so we can find out! I come to you neutered, vaccinated, and micro-chipped with an adoption fee of $300. Interested in fostering me while I recover from my surgery? Email info@pixieproject.org!